Stefan Zweig (1881-1942) was an Austrian author of Jewish descent whose prolific output has been translated into over fifty languages. Widely regarded in the literary community as a decidedly humanitarian thinker, by the 1920s he was one of the most published authors in the world. He left his native homeland in 1934 in part due to the rising Nazi threat, relocating first to England, then briefly to America. He finally settled in Pétropolis, Rio de Janeiro where, tragically, he ended his life alongside his second wife, Lotte (née Altmann), in 1942. The Stefan Zweig Collection at Fredonia contains over 6,000 manuscript letters written to Zweig by over 300 eminent personalities (1900-1942). Notable correspondents include Martin Buber, Albert Schweitzer, Richard Strauss, Rainer Maria Rilke, Luigi Pirandello, Jules Romains, Joseph Roth, Frans Masereel and Virginia Woolf among others. In addition, the archive contains manuscript and typescript drafts for many of Zweig's works, including fiction, poetry, drama, essays, and historical and biographical studies. The collection constitutes one of the most significant holdings of Zweig manuscripts in the world. Further materials include correspondence (approximately 2,000 letters) between the author and his first wife, Friderike Zweig (née Burger, formerly Winternitz); letters written to Friderike by other correspondents; a small collection of documents belonging to the author's brother, Alfred Zweig, including correspondence, memorabilia and photographs; and miscellaneous secondary sources and published material, including articles, theatre programs and reviews of Zweig's works. The Archives & Special Collections library also holds a significant number of published works by and about Zweig, including biographies, translations and multilingual critical studies. 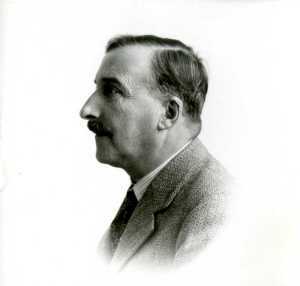 The Inventory of the Stefan Zweig Collection (1993) provides an overview of the documents in the collection and includes an extensive introduction detailing the history of the collection at Fredonia. Currently undergoing revision, the Inventory is available as a PDF upon request. Researchers may also wish to consult the Stefan Zweig Bibliography wiki compiled and maintained by noted Zweig bibliographer Dr. Randolph J. Klawiter. The wiki continues Klawiter's print bibliography, the last addendum of which was published in 1999. This critical resource, described by Casa Stefan Zweig as the "bible" for Zweig scholarship, comprises a decades-long effort by Dr. Klawiter, who is also Professor Emeritus of the Department of German and Russian at the University of Notre Dame. Fredonia is honored to provide the online home for Dr. Klawiter's ongoing work. Read more about the history of the bibliography here. For research inquiries, please complete the Archives Research Request form. Photo (upper left): Stefan Zweig, ca. 1930. Photo (lower right): Stefan Zweig, ca. 1938. Copyright for both unknown. Stefan Zweig Collection, Archives & Special Collections, State University of New York at Fredonia. 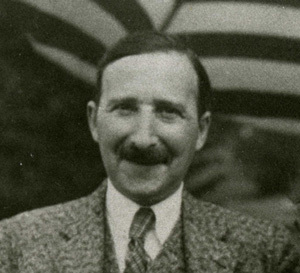 Individuals or organizations who plan to publish or exhibit materials from the Stefan Zweig Collection must contact the Coordinator of Archives & Special Collections directly and complete the Intent to Publish Form. Permission is granted for one-time use only, regardless of published format. The Archives & Special Collections of Reed Library held a series of events in Fall 2017 to celebrate the 50th anniversary of the Stefan Zweig Collection at Reed Library. To help commemorate the anniversary, Fredonia’s Marketing & Communications created the following video, featuring interviews with Associate Professor of English and Zweig scholar Birger Vanwesenbeeck, Director of Collaborative Piano Anne Kissel, Coordinator of Archives & Special Collections Kim Taylor, and several Fredonia students. The Reed Library Archives & Special Collections welcomes your financial support of the Stefan Zweig Collection at Fredonia. Funding is critical to support ongoing preservation of the collection as well as continued efforts to enhance accessibility. To make an online donation, please visit Fredonia.edu/give and follow the instructions provided. For more information about financial gifts, please contact Foundation@fredonia.edu. Thank you for helping to preserve this historic collection for current and future generations.